Cosmetic dentistry has come a long way from the original “Hollywood Smile.” Today’s success stories will often include a complete smile with natural-looking restorations that are functional and long-lasting. Merry Dental PC cosmetic dentist, Dr. Marjan Fakhri, creates unique treatment plans to help restore your dentition with quality aesthetic solutions. - Fillings - Choose from composite resin, porcelain or amalgam upon request, depending on patient preference and qualifying factors. - Crowns and Bridges - Crowns are cosmetic restorations created to match your natural smile and reinforce your bite while protecting tooth roots and bone. A bridge is anchored in place by two crowns and will use a prosthetic tooth to replace a missing tooth. - Tooth Bonding - If you have a tooth that has been aesthetically compromised and is broken or misshaped, composite bonding can be used to rebuild the tooth while remaining natural looking. - Porcelain Veneers - When teeth are permanently stained, uneven, and slightly misaligned or there are unwanted gaps between teeth, porcelain veneers will cover up the imperfections to create your desired smile. 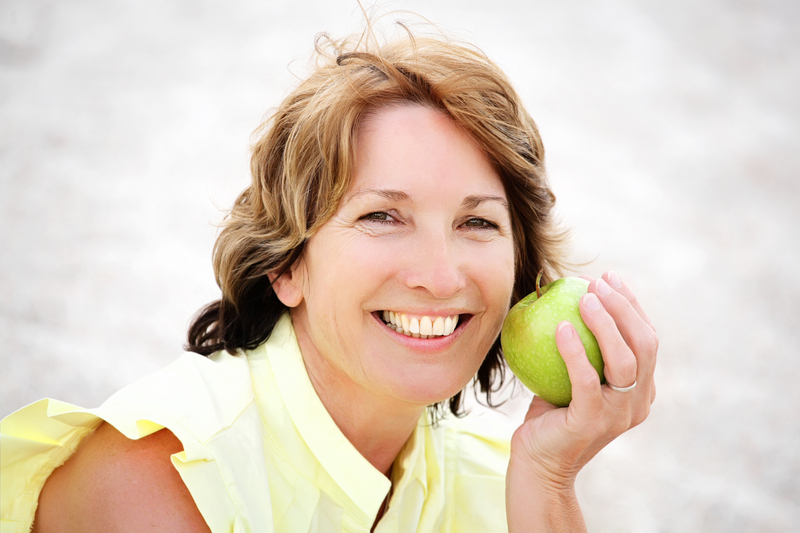 - Gum Disease Treatment - Deep cleaning to eradicate gum disease is performed by our highly skilled hygienists. We also provide maintenance cleaning three to four times per year, depending on the condition of your gums to keep gum disease at bay. - Dental Implant Restorations - Dental implants are the most advanced dental solution for patients with missing teeth. These titanium roots integrate into the jaw bone to provide a sturdy, durable anchor for prosthetic teeth. Implant-supported crowns, bridges, and dentures give patients a complete smile with full functionality. The abutments are gum colored (no metal) to maintain long-term aesthetic improvements. - Teeth Bleaching - Dr. Dovidio uses Sensational Smiles bleaching to remove stains from teeth. This 20 minute in-office procedure is a convenient way to whiten your smile. Patients are sent home with a booster kit to touch up their smile as needed. Dr. Fakhri uses a local lab to create aesthetically-pleasing and long-lasting cosmetic restorations to give Merry Dental PC patients their desired smile. Contact us at our Merry Dental office to schedule an appointment. Dr. Fakhri will discuss your options and create a treatment plan based on your desired results and oral health needs.